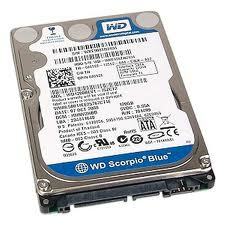 View cart “1TB Western Digital SATA 2.5″ 5200RPM – Scorpio Blue 3 Yr Wty” has been added to your cart. Storage capacity for 2.5-inch form factor drives with standard 9.5 mm height has arrived at a realm once thought to be impossible – up to 1 TB* – giving you all the capacity you need to keep your photos, music and files right there on your notebook. SKU: WD7500BPVT Category: Portable Computers. * The WD10TPVT model is 12.5 mm high and may not be compatible with all notebook systems. Consult system specifications for maximum allowable drive height before attempting to install. In a notebook drive, silence is golden. 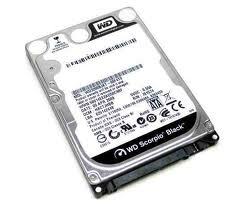 WD’s exclusive WhisperDriveTM combines state-of- the-art seeking algorithms to yield one of the quietest 2.5-inch hard drives on the market. These algorithms also optimize the way a drive seeks for data, which significantly improves power consumption. So now silence (and longer battery life) is golden. WD’s SecureParkTM parks the recording heads off the disk surface during spin up, spin down, and when the drive is off. This ensures the recording head never touches the disk surface resulting in improved long term reliability due to less head wear, and improved non- operational shock tolerance.